If you are looking for a FIAT dealer that will better serve you in Jacksonville, TX, there is only one place to go. Palestine Chrysler Dodge Jeep Ram FIAT. You have tried the rest, no pick the best. 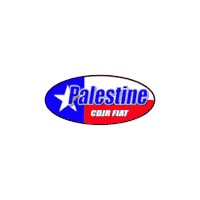 Palestine Chrysler Dodge Jeep Ram FIAT is your destination for the entire FIAT lineup of vehicles. We promise that you will be pleased with your experience when you visit our dealership. We have a great selection of FIAT vehicles for you to choose from in one convenient location so you won’t have to go anywhere else. If you love to save money, then you will love shopping with Palestine Chrysler Dodge Jeep Ram Fiat. We not only offer you a great selection of FIAT vehicles to choose from, but we also have great every day low prices too. Every FIAT vehicle is a great value at MSRP value, but a Palestine Chrysler Dodge Jeep Ram FIAT, we give you even better deals. We are proud to offer low prices to our customers that save them their hard earned cash. Because we offer such great deals, we have vehicles that fit within the budget of almost everyone that won’t break the bank. These deals ensure you will even get a low monthly payment so you still have money left over for what is important. Many of our vehicles are fuel-efficient so you will save money at the pump too. Let Palestine Chrysler Dodge Jeep Ram FIAT be your FIAT dealer of choice. At Palestine Chrysler Dodge Jeep Ram FIAT, we believe you should have all of the information you need to make an educated car buying decision. We also believe in honesty and transparency. When you deal with Palestine as your FIAT dealer of choice, you know you will always get an honest and transparent answer to your questions. We are proud to be one of the most trusted dealerships around and we know that you will be happy with your interaction and purchase from us. We give you all the information you need to make a decision that is best for your situation so that you have all the facts prior to your purchase. We are here for you and are happy to answer any questions you may have along the way by phone, online, or in person anytime. We are here for you. When you shop at Palestine Chrysler Dodge Jeep Ram FIAT, you will get the best experience possible. We will work hard to ensure that you are completely satisfied with us at every interaction. We will take the time to listen to you and understand your needs so we can help make a recommendation based on your lifestyle and your budget. We believe that our customers deserve the highest standard of service. After all, you are the heart and soul of our business and we know that we would be nowhere without you. We are committed to your satisfaction and are honored to be your FIAT dealer of choice. Palestine Chrysler Dodge Jeep Ram FIAT is your premier destination for all things FIAT including the entire family of FIAT vehicles. We are proud to be your FIAT dealer and we even offer genuine FIAT accessories for you to customize your car. Our service department is fully trained by the manufacturer to take care of all of your maintenance and repair needs so you can be confident our experts are repairing it the right way. Check out our inventory either online or at our dealership and then come down to test-drive the FIAT of your dreams. We look forward to meeting you and your family and can’t wait to exceed your expectations.